A failure in the inertial measurements unit caused a chain of events in the spacecraft avionics, cutting off the engines. 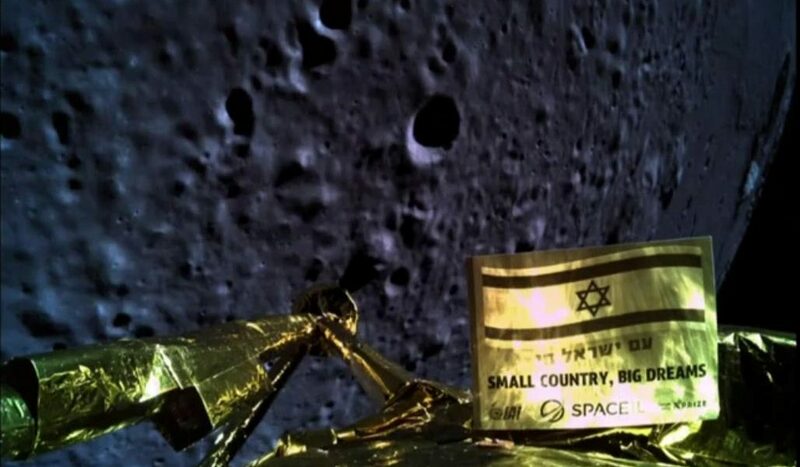 Yehud: Israeli spacecraft Beresheet crashed onto the moon on Thursday after a series of technical failures during its final descent, shattering hopes of a historic controlled landing on the lunar surface. The final manoeuvre on Wednesday brought it into a tight elliptical orbit around the moon, around 15 km (9 miles) from the surface at its closest. From there it was a short, nail-biting and ultimately disappointing conclusion. So far, only three nations have succeeded in carrying out a “soft”, or controlled, landing on the lunar surface: the US, the Soviet Union and China. Beresheet would have been the first craft to land on the moon that was not the product of a government programme. It was built by state-owned IAI and Israeli non-profit space venture SpaceIL with $100 million funded almost entirely by private donors. Shaped like a round table with four carbon-fibre legs, Beresheet stood about 1.5 metres (4.9 feet) tall. It blasted off from Florida’s Cape Canaveral on February 21 on a SpaceX Falcon 9 rocket and entered Earth’s orbit about 34 minutes after launch.